Stock market: A glass half-full or half-empty? SINGAPORE - Two different days - and they each offer a different story about the local stock market. And depending on which story you choose to believe, you will see the stock market as being a glass half-full or a glass half-empty. But first to give an account of what happened: On Monday (May 16), if you had glanced at the overall stock market turnover, you would not have noticed anything amiss as the value of shares which changed hands - $848 million - was roughly close to the past month's daily average turnover of $1 billion. But take a closer look and you would have noticed that a handful of micro-penny stocks - trading at most at only a few cents - suddenly burst into life, pushing the overall daily volume of shares traded to 3.17 billion shares. That was a huge number of shares changing hands, something we have not seen since the stock trio - Asiasons Capital, Blumont Group and Liongold Corp - crashed almost three years ago, causing $8 billion of market value to be wiped out in days. What is interesting to note is that these are, again, the stocks spearheading the sudden resurrection in interest in micro-penny stocks. Asiasons, now renamed as Attilan Group, trebled in value to 1.5 cents on a volume of 193.4 million shares, while Blumont rose 200 per cent to 0.3 cent on a volume of 54.7 million shares, and LionGold saw a volume of 260 million shares, although its price stayed unchanged. Other stocks purportedly linked to them also registered a big surge in interest as well. These included Annica, an oil and gas play, which attracted a volume of 556.7 million shares. Just to give some perspective of what was going on. That number of shares traded accounted for nearly one-fifth of all shares traded on the SGX that day. Then on Tuesday, it was the turn of blue-chips to take the spotlight, pushing the benchmark Straits Times Index up by 45.05 points, or 1.65 per cent, to 2,781.11. What takes the cake is a surge in turnover as well, with $1.21 billion worth of shares changing hands - the highest daily turnover to be recorded in over a month. That this sudden display in interest in local blue-chips should take place amid a huge waning appetite for stocks worldwide, as institutional funds pulled a staggering US$7.4 billion from equities last week, may come as a big surprise. As I had noted in a column last month, there are international investors who believe that our "dirt cheap" stock market offers a wonderful buying opportunity because it is trading at barely above book value, as compared with some US-listed stocks such as Facebook and Boeing, all of which are trading at several times their book values. 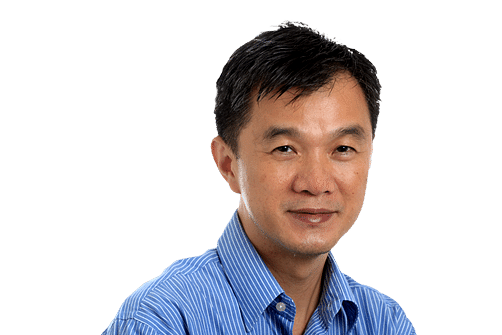 Singapore blue-chips also offer an attractive dividend payouts and there is the prospect of enjoying a foreign exchange gain if the Singapore dollar strengthens against the greenback. On the flipside, the revival in micro-penny stocks would suggest that retail investors may be returning to the market again, after staying largely in the sideline. The last time this occurred in a big way was way back in July 2007, when the market literally lost its head, with penny stocks chalking up double-digit percentage gains for the flimsiest of reasons. That was just before the eruption of the sub-prime crisis in the United States the following month, which triggered a financial catastrophe so serious that the global banking system almost teetered on the verge of collapse. But so far, there are few signs of a recurrence of 2007-type penny stock rally, as the frenzied trading fizzled out after just two days. As retired stock broker Narayana Narayana observed, it all seems like "a dead cat bounce and we are now back to square one". Will this latest revival in trading activities have legs? The roaring interest in recent bond issues - ranging from the retail offerings made by the likes of Aspial and Oxley to those made available only to institutions and well-heeled individual investors by United Overseas Bank and Societe Generale - suggests that there is a lot of available cash sloshing in the Singapore financial system looking for an investment venue. However, not much of it may be finding its way into the stock market. In fact, going by the fund flow data, investors have been taking money out of the stock market in a big way. Redemption from global equities funds have hit about US$90 billion so far this year - the highest pace of withdrawal since 2011. Yet, even as investors steel themselves against another possible stock market correction ahead, there is a contrarian argument: that they may be scaring themselves silly for nothing. The great investor, Sir John Templeton, once noted that bull markets are born on pessimism, grow on scepticism, mature on optimism and die on euphoria. But there are few signs of the euphoria observed in the stock market just yet, if micro-penny stocks could not even sustain their trading momentum after two days. As Citigroup's former boss Chuck Prince once observed, "as long as the music is playing, you've have got to get up and dance". His ill-timed remarks were made in July 2007, just before the eruption of the US sub-prime crisis. But it was a canny observation of market sentiment. In the present context, the music may not even have warmed up yet. People shouldn't be leaving the dancing hall just yet, let alone stop dancing.